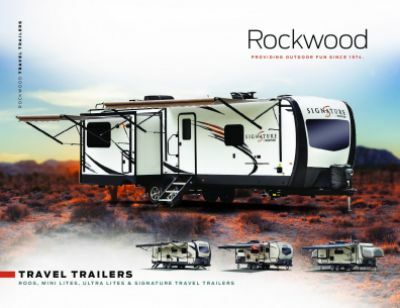 Make memories every season of the year with the reliable and adventurous 2019 Forest River Rockwood Roo 233S! This Hybrid Trailer is beautiful inside and out! You can find this RV and other quality models now at All Seasons RV, one of the top Michigan RV dealerships! Live near or planning a trip to Muskegon? Stop by our site at 4701 Airline Rd Muskegon Michigan 49444 and bring this stunning RV home! To learn more about how you can save big on this RV, call our Forest River Rockwood Roo expert at 231-739-5269! Go miles out of your comfort zone and travel far with this RV, which has a hitch weight of 612 lbs. and a GVWR of 6612 lbs! 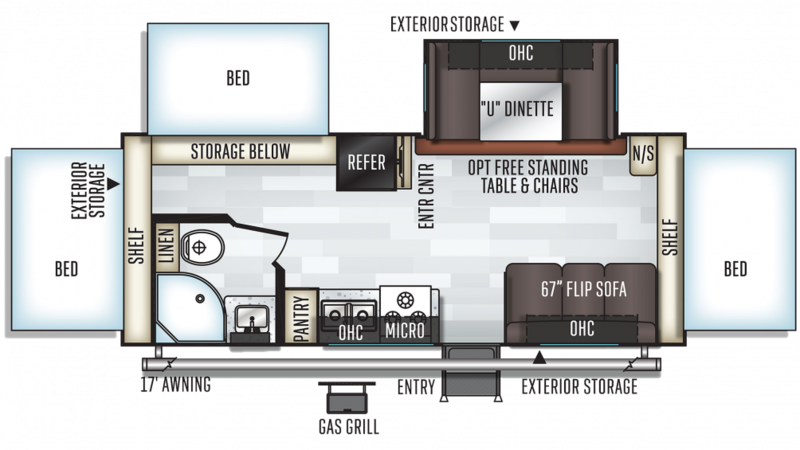 You can set up some camping chairs and lounge under the cool shade of the 17' 0" awning for hours of outdoor relaxation!